Quantum of Solace is an example of why you don’t rush movies in a franchise – particularly the Bond franchise. Casino Royale was an effective “reboot” for the character and set the series on a more serous, gritty and Jason Bourne style tone for spy movies. Quantum of Solace is clearly trying to extend this further but feels rushed and cobbled together. You could almost describe it as the middle act of a film, rather than a full Bond adventure. For example, the villain is one of the most under-developed the series has had for a while. Mathieu Amalric plays Dominic Greene but isn’t in the league of Mads Mikkelsen’s Le Chiffre. He has no discernible traits or is even that much of threat to Bond. His master plan is to finance a coup and blackmail the new leader – it is hardly worth Bond getting out of bed! Not that he’d necessarily be sharing that bed with anyone anyway. The Bond Girls in Quantum of Solace are under-developed and slightly wasted. Gemma Arteton plays Fields, someone who Bond seduces and as quickly as being introduced, is then dismissed in a death reminiscent of Goldfinger. At least Olga Kurylenko gets more of a story, one driven by revenge. It has potential but like much of the movie, feels slightly under-developed. There are hints of a past involving fire, including a scarred back and a fear of flames but these are as quickly dismissed as they are referred to. 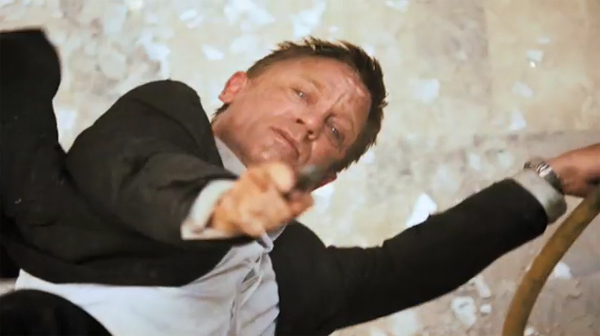 Luckily, Quantum of Solace makes-up for the lack in character development with some great action scenes. The opening car chase is thrilling, as is the scuffle on scaffolding that follows. These are the somewhat over-shadowed by the plane sequence that begins the final act. A lot of effort goes into the finale too, with some cool effects used and the battle in flames being a good idea. Unfortunately, it feels as under-developed and rushed as many of the other movies’ elements do as well. The ambition and idea behind Quantum of Solace is a good one and as the first official sequel to a Bond film, following literally minutes after Casino Royale, it does develop some of the strands that movie put in place well. As a full conclusion to the Casino Royale story and the end to the “Vesper” storyline, it is very effective, unfortunately it also feels too much as a chapter in a wider story and not a film within it’s own right. 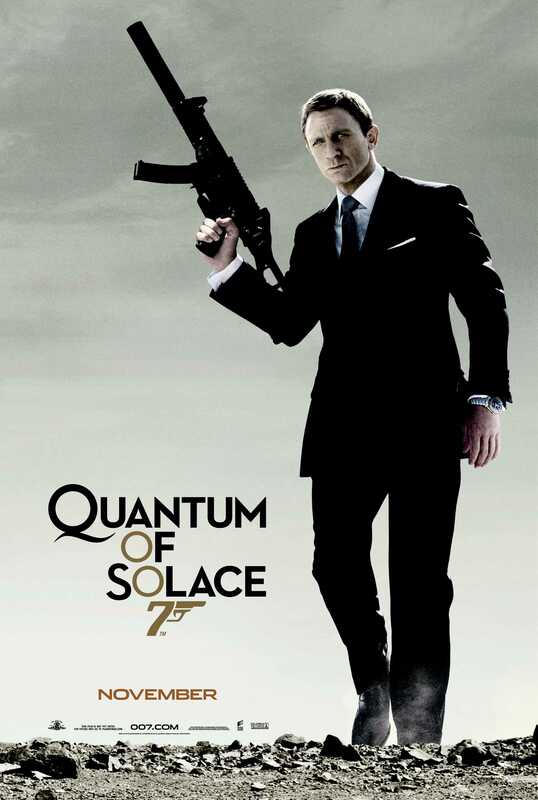 Overall, Quantum of Solace is under-developed and feels incomplete. The characters aren’t as well-rounded as you’d expect and the use of Bond Girls and an effective villain is poor. It is made up for with decent action sequences and some cool set-pieces but you can’t help feeling this is a chapter in a wider story rather than a movie in it’s own right. Really don’t like this one and not a film I feel like I’d ever want to rewatch….it is indeed underdeveloped. Especially sandwiched between the much better Casino Royale and Skyfall! Smart move. I like to think it’s just the extended version of Casino Royale anyway. Like most I feel this was a terrible disappointment. It was an action movie that felt like a 2nd rate Bourne Identity film. Yeah, you can definitely feel Bourne’s influence all over this.